Click Here to access the Hope of Glory Sermon! 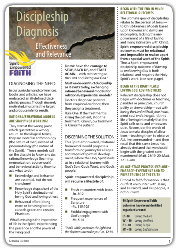 Click Here to download the Hope of Glory Bulletin Insert! Click Here to download the Hope of Glory Web Banner (240x400). Click Here to download the Hope of Glory Web Banner (720x300). 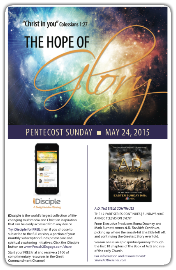 ​Click Here to download the Hope of Glory Web Banner (728x90). 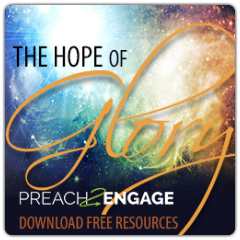 Click Here to download the Hope of Glory Poster! 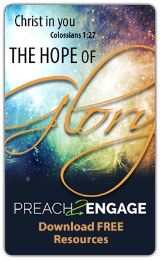 ​Click Here to download the Hope of Glory Web Banner (300x600). 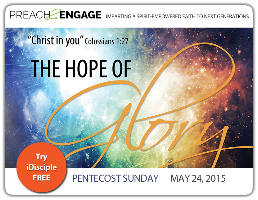 Click Here to download the Hope of Glory Web Banner (250x250). 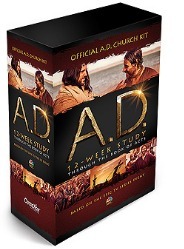 Click Here to access FREE church promotional resources for the A.D. series courtesy of Outreach Media Group. 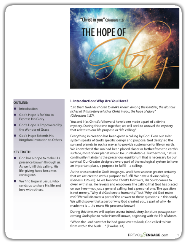 Click Here to download the Hope of Glory Email Banner. 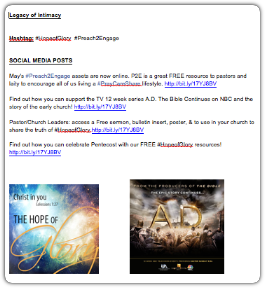 Click Here to access Social Media posts for Hope of Glory.